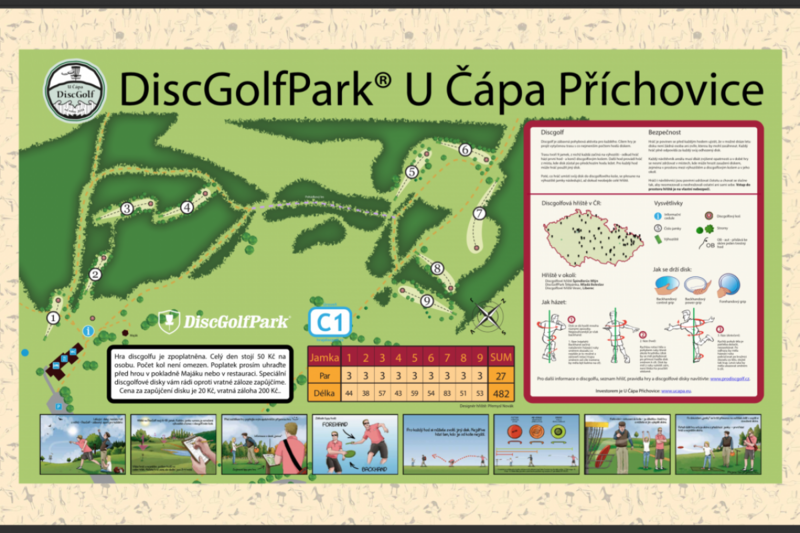 9-hole beginner level DiscGolfPark. It starts right in front of the famous pension, restaurant and brewery U Čápa. 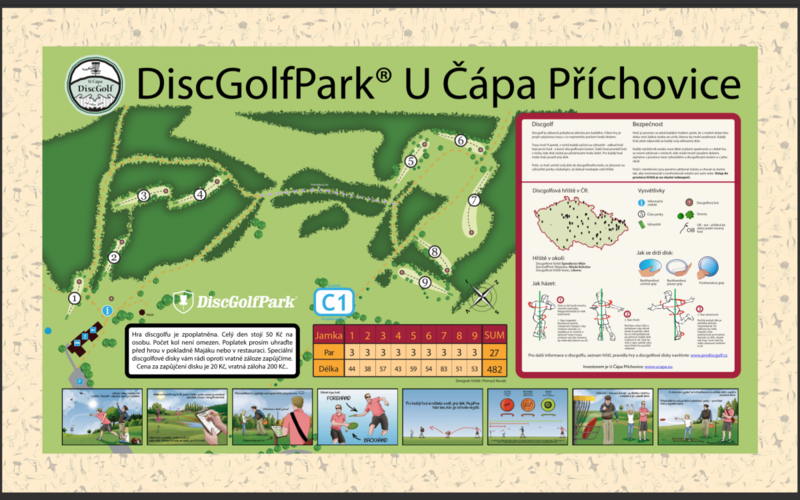 You can rent disc golf disc at the light house or restaurant.